Tackling major world problems begins with the strike of a keyboard for Allen Malony, a UO computer and information scientist who recently received an international award for his research on high-performance computing. The Franco-American Fulbright Commission is honoring Malony with a Fulbright for the Future award for his work. Created to celebrate the 70th anniversary of the Fulbright program in France, the award recognizes four Fulbright alumni of the Franco-American program for achievements in addressing important challenges in the future. “I’m a huge believer that computing is a way for us to become greater than ourselves,” Malony said. Malony is no stranger to the Fulbright program. He spent his first year as a UO faculty member as a Fulbright research scholar in the Netherlands. In 1999, he was a Fulbright research scholar to Austria. His third Fulbright, a Fulbright-Tocqueville Distinguished Chair, took him to France in 2016-17. Malony’s main area of research is high-performance computing, with the goal of improving productivity. The research spans many disciplines. Malony collaborates with UO geophysicist Doug Toomey on seismic analysis, UO chemist Marina Guenza on multi-scale computational chemistry, and UO psychologist Don Tucker on problems in brain modeling and neuroimaging with the UO’s Neuroinformatics Center. He directs the new Oregon Advanced Computing Institute for Science and Society. The goal of the institute is to engage broadly with UO partners in research opportunities where computational and data sciences ideas and expertise can be applied to new problems, increasing the competitiveness of grant proposals and productivity of funded research projects. 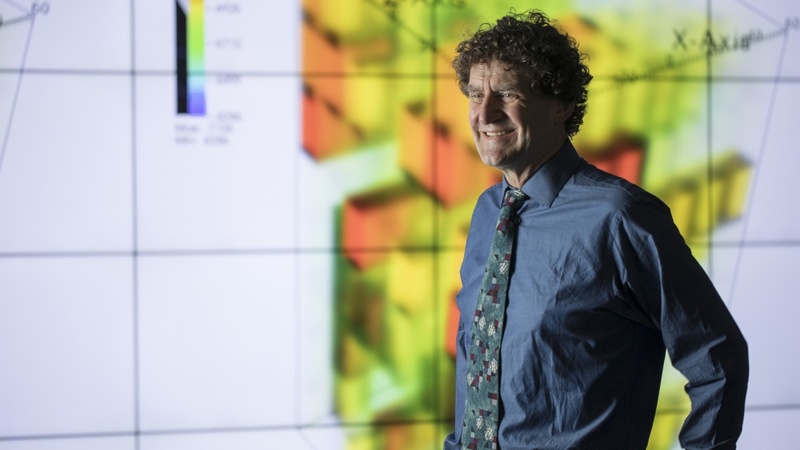 “There are opportunities to apply high-performance computing to problems that will allow us to become a world in which we have more peace and humanity,” Malony said. Malony will receive the award at a reception May 14 at the French Embassy in Washington, D.C.